Kids just want to keep warm and keep going. Gildan's Heavy Blend Youth Crewneck Sweatshirt does both and looks good too. Customize one and make it look even better! 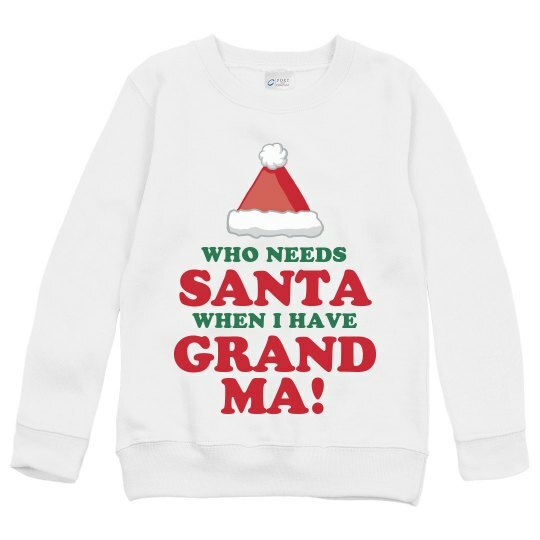 Get your kid this adorable Christmas sweater to wear on Christmas day. This will make Grandma's heart melt! Who needs Santa when I have grandma!